Phil plays a community created module for Eye of the Beholder in NWN:EE. Today Beamdog CEO Trent Oster and Studio Director Phillip Daigle shared the latest updates on Neverwinter Nights: Enhanced Edition and Infinity Engine EEs patches. Trent revealed the secret ending to Sword Coast High and Phil played part of the community created module Eye of the Beholder for NWN:EE, available in the Steam Workshop. 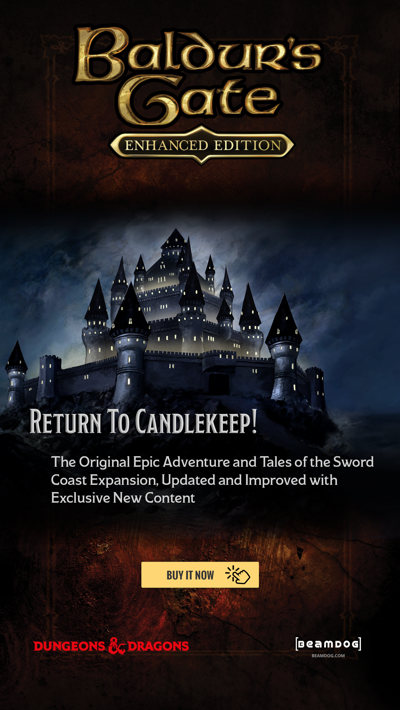 The Neverwinter Nights: Enhanced Edition launch on Steam was good! We’ll continue to roll it forward, providing new features, opening up modding opportunities and fixing bugs. A lot of custom content for Neverwinter Nights: Enhanced Edition is already in the Steam Workshop. Browse the Steam Workshop, find the mod you like, subscribe to it, and it will be downloaded automatically. We don’t want the Steam Workshop to be the only place to find mods for NWN:EE. We want to mirror it, the question is where and how. Let us know your thoughts in the NWN:EE forums! 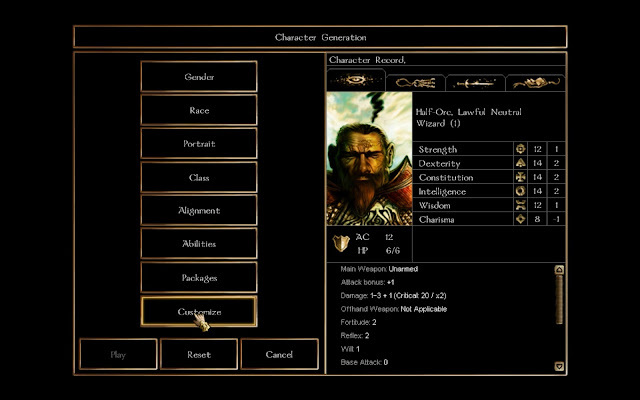 We want to make Neverwinter Nights: Enhanced Edition the best experience for players. We’re going to keep game better with each update, the game’s code, look and functionality will be improving as we go forward. We’re working on new character models for NWN:EE. You can see a few exciting results of our experiments on character models and tilesets in the Steam Workshop. We’ll definitely take some steps to improve a few performance issues on Neverwinter Nights: Enhanced Edition. The development branch of NWN:EE on Steam will be continually updated. You can already try out the 8167 development branch build. 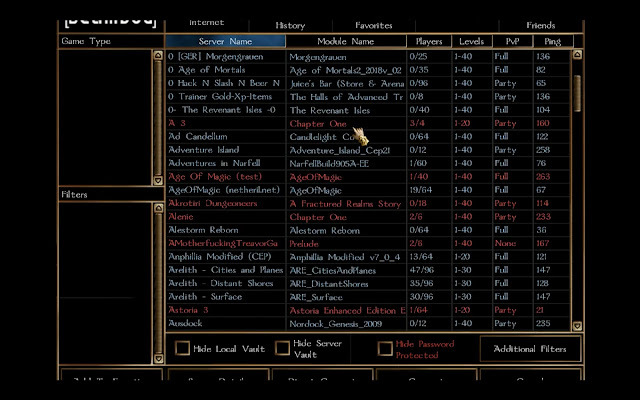 The current server list for Neverwinter Nights: Enhanced Edition is quite extensive. There’s a lot of activity happening in Multiplayer! The 2.5 patch for Baldur’s Gate: Enhanced Edition, Baldur’s Gate II: Enhanced Edition, Icewind Dale: Enhanced Edition is still in full swing. We will be releasing an update to the BG:EE 2.5 beta later today. We twisted Phil’s arm into adding the Priest of Tempus kit to Branwen. We plan to start releasing final 2.5 patches towards the end of this month. We plan to address performance issues of our Infinity Engine EEs on Google Play. If your app does not respond or crash, please, report these issues on our bug tracker. Phil creates a half-orc wizard. 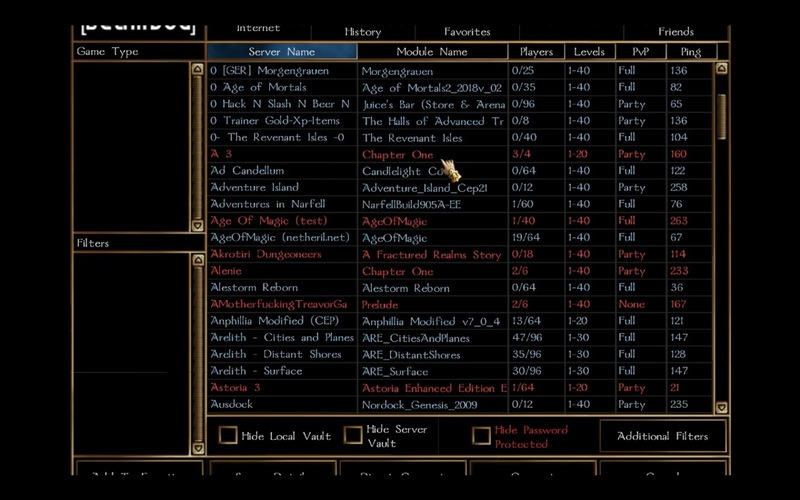 Full party control as it is possible in Baldur’s Gate and Neverwinter Nights 2 is probably not going to happen in Neverwinter Nights: Enhanced Edition by default, however, we’re looking at opening it up for modding opportunities. 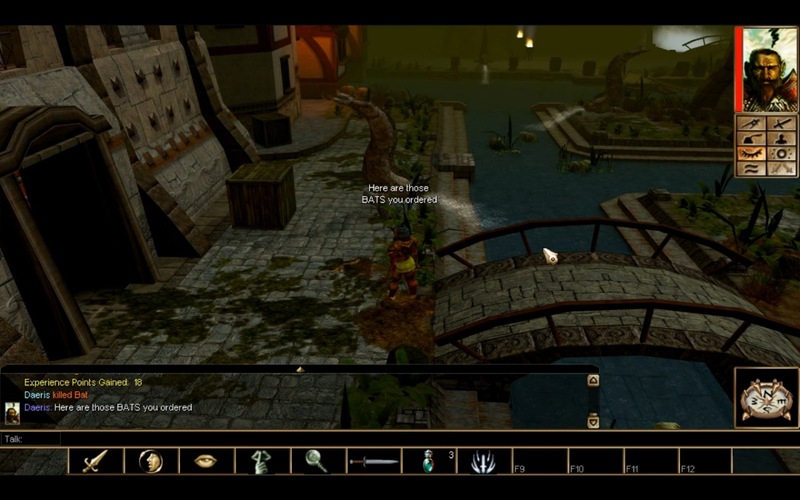 Improving pathfinding in Neverwinter Nights: Enhanced Edition is a big topic, and there are two possible approaches we can take towards addressing this issue. We’re looking at the code and trying to figure out what is involved, where pathfinding is falling out. If we redo the pathfinding, it’s going to change the way Neverwinter Nights plays, so we have to take the need for backwards compatibility into account. It may be that the new HD content will require a new pathfinding system. We’re going to step Neverwinter Nights: Enhanced Edition forward slowly, opening up systems, making them moddable. We’re deeply aware an ability to add new custom feats is one of the most requested features. We want to make players and modders able to do that. If you’re having problems with the toolset, tell us how and where it is not working for you, and we’ll fix it. If you have an Intel integrated chipset - it may be the current reason of this problem. A lot of 1.69 issues of Neverwinter Nights have already been fixed in Neverwinter Nights: Enhanced Edition. If we missed a few - please, report them on our bug tracker. 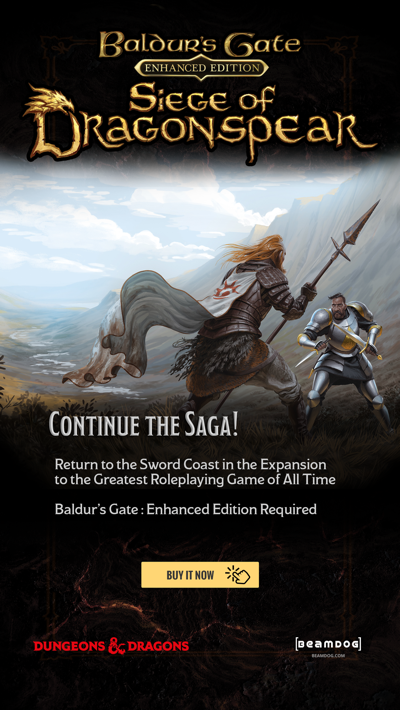 It's too bad I missed the live-streams both yesterday and on April Fools' Day/Easter, Sword Coast High actually looks fun! Of course, it's got D&D characters & references, which are the ONLY reasons I can even tolerate it (normally simulators, especially dating sims, aren't my thing). I'm definitely interested in learning the secret ending! Hmm... I wonder if this project means that Beamdog are considering making a D&D adventure game, with all of our beloved characters? I'd be most interested in that; the very first video-game I ever played was a simple, online, Flash-player adventure game based on my favourite Lego play-theme, all the way back in 2002! Good times. Anyway, like I said, I'm definitely going to have to watch these videos on YouTube! I would certainly love to see more like this!